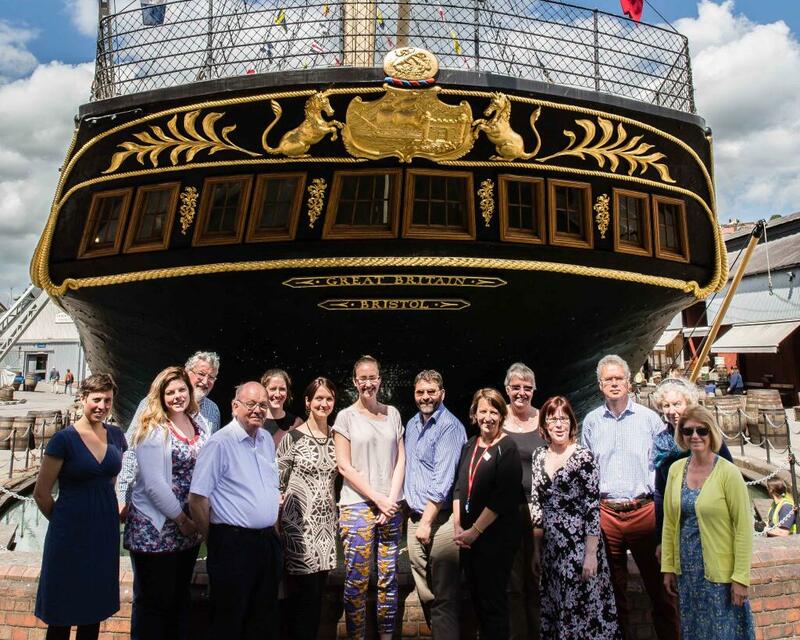 For the past two years, AIM has been working closely with the Heritage Alliance and the Institute of Fundraising on their joint Giving to Heritage programme which offers discounted training in various fundraising topics for the heritage sector. The programme also provides free webinars and AIM was invited to take part in one about how museums and heritage sites can start working with Corporate Partners. * Never approached corporate organisations to work in partnership before? It’s natural to feel anxious. Make sure you have given time to talk about working with corporate partners at staff and volunteer meetings as well as in board meetings. * Use the team’s individual skills and talents: Working with corporate partners is not the responsibility of just one person; it has to be embedded into an organisations whole way of working for it to be successful and accepted. By using everyone’s skills and talents the members of your team are far more likely to buy into this new way of working if you are including and celebrating them. * What skills do you have in-house? If you have never carried out a skills audit at your museum – now might be a great time to do one. Ask everyone: your board, your Director your admin staff, volunteers and work placement trainees what they think they could offer. * List potential partners: Get everyone involved in making a list of possible corporate partners – everyone knows someone! Corporate partners don’t have to be global brands – they can be local businesses too. * Research: look at other museums and heritage organisations that have already used corporate partnerships – ask them for advice and examples of best practice. *Sell yourself: Like any great relationship, working with corporate partners isn’t just about them supporting you – you also have to sell yourself a bit to be an attractive proposition. What makes you interesting, unique and special….what makes you stand out from other museums and why should a corporate partner choose you? * USP: what are your Unique Selling Points? Create a basic SWOT analysis to determine what makes you stand out from the crowd and to help you match your museum against similar private businesses. *Why do you need support? If you are going to approach corporate partners or indeed – carry out any fundraising – you need to show the reasons for supporting you and make those reasons compelling. The AIDA marketing model shows you how to do this well – more information on this is in the webinar. * What are you doing differently? Chances are you will be far more than ‘just’ a museum – what other services do you offer that make you an attractive proposition and are you revealing this to potential corporate partners? Lending their time: Many corporates have staff community days to help their teams connect with local communities. You can ask corporate partners if they would consider supporting you by volunteering at your museum. This extra help can be used as match funding, for promotional purposes and to assist your museum during busy periods. Donating Items: Can corporates donate items to you to save you money or offer you raffle prizes? Lending Experience: Ask partners to lend their experience to help your overall operations, business planning or for specific projects. Sharing Networks: Sometimes, support from Corporate Partners can simply be help with promoting your museum events and collections to their own networks of customers and suppliers. *Get out of your sector: there is a tendency for museums and heritage sites to only network with similar organisations. Have the confidence to network and mingle and you might be surprised at who you can work with. *Attend local business networking meetings: most areas have these set up to support businesses. A good place to start is by contacting Business in the Community – a charity that helps create links between charities and the corporate sector. *Find the best fit: make sure any corporate partners match your own ethics and objectives. Things can go wrong when expectations differ! *Say THANK YOU! We forget to publically thank corporate partners and thanking those we currently work with will gain the attention of new ones! Giving to Heritage is a HLF funded scheme providing fundraising training for those in the heritage sector. The programme draws on the expertise and knowledge of the two project partners; The Heritage Alliance and the Institute of Fundraising. Each workshop place costs just £20 per place, and the workshops run from 10.00 to 16.30. There are a maximum of 15 places available on each workshop. Recent research into funder motivations reveals that the heritage sector needs to do more to measure and report community impact to compete with other sectors. Heritage projects can be seen as less attractive to donors than those that are more able to clearly demonstrate social impact. Spend the day exploring the methods and benefits of impact reporting for fundraising using the NEF Proving and Improving toolkit and Charity Evaluation Service (CES) resources. Identify appropriate methods and tools relevant for measuring heritage impact for each delegate and develop ways to communicate impact to a range of heritage donors. Spring is the time of fresh starts and new opportunities, so if you are looking to increase your skills to help you and your museum, the new schedule of training events from Giving to Heritage is an excellent resource. With all workshops costing just £20 per head, you can choose from a variety of topics including: Event Fundraising, Legacy Fundraising, Corporate Partnerships and Digital Fundraising. Workshops on 13 topics are available across the UK and 24 new workshops in 9 regions are now available to book between April and July 2015. If you are solely in charge of fundraising for your organisation – or even if you are part of a larger fundraising team – the new schedule of Giving to Heritage training and workshops from The Heritage Alliance will enhance your skills and give you the confidence you need to conquer your fundraising objectives. Sometimes we all need a bit of help to get ahead, so when it comes to Fundraising for your museum or heritage organisation, having support and guidance from Fundraising professionals can prove extremely worthwhile. Knowing how to spot opportunities to diversify your income, cultivating a wide donor base and understanding how to create strong fundraising strategies will help to improve your organisations resilience now and in the future. “The Giving to Heritage fundraising training programme is designed to help museums and other heritage organisations develop skills in areas of fundraising with which they may not be familiar,” explained Mark Webb, Giving to Heritage Project Officer. 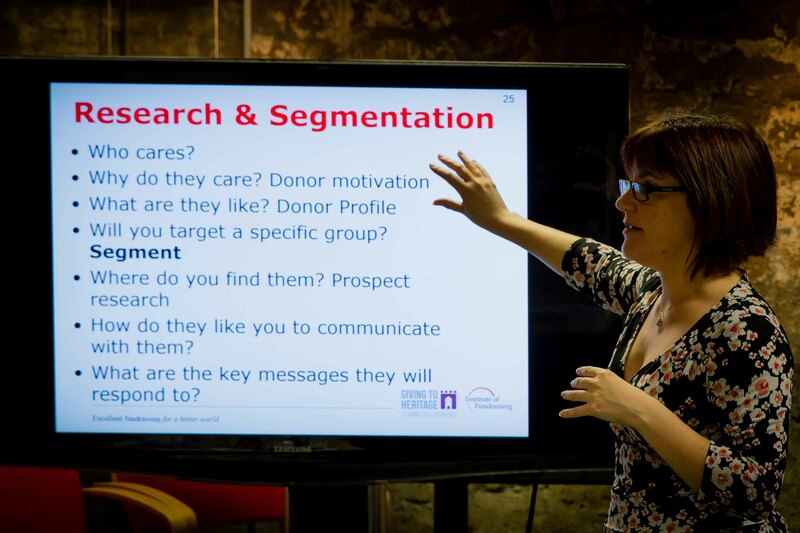 The Giving to Heritage training covers a wide range of fundraising topics including ‘Major Donor Fundraising’ and ‘Using Digital and Social Media’. There are also opportunities for bespoke training through 1 to 1 consultancy sessions and a mentoring scheme for a selected number of heritage projects. So what sets the Giving to Heritage workshops apart from other fundraising training available and why are they worth attending? “The training workshops are primarily aimed at those who have little or no experience in the types of fundraising covered by the workshops,” said Clare Keates, Heritage Project Manager at the Institute of Fundraising. Giving to Heritage, run by the Heritage Alliance and the Institute of Fundraising, has been providing high quality, low cost training in all areas of fundraising since May 2014. They are now looking to add to this support for museums and heritage organisations through a fundraising mentoring programme. If you have at least two years of fundraising experience and the time to share it with other organisations, this might be a great opportunity for you. The closing date for applications has been extended to 26th October. If you would like to find out more go to http://www.theheritagealliance.org.uk/gth/?page_id=995 to download the form, follow the instructions and submit. Email Amy – heritage@institute-of-fundraising.org.uk to return application forms, or if you need more information. I’m just back from the first Giving to Heritage training day. It’s been really useful and I now know all about how to create a fundraising plan! We’ve captured some of what we learnt on Storify. 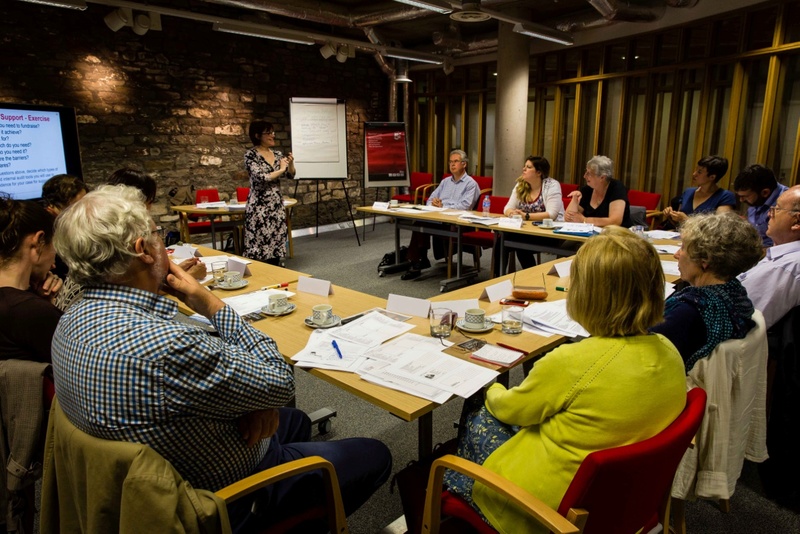 Giving to Heritage is a joint project between the Heritage Alliance and Institute of Fundraising to bring really high quality fundraising training to small and medium size heritage organisations, at a cost of only £20 per session. We got some great handouts including a printed version of The Good Fundraising Guide – so this course was extremely good value. Creating a Heritage Fundraising Plan is the first of what will be 13 topics, covered in 99 training days, over the next two years. You can go to as many or few as you want. They all have a maximum of 15 participants and it was really good to ask questions, be able to discuss different people’s experience during the day. There was a great mixture of presentation, time to reflect on what you’re learning, and exercises to explore ideas in more depth in pairs and groups. There were also sweeties to keep the energy levels up! The Institute of Fundraising trainer covered some really useful concepts and how they can be applied to fundraising. She made these easy to understand and relevant and it was good having a course that dug a bit deeper into fundraising planning than how to write a good trust funding application. Wishing you’d been there? Don’t worry! There are 8 more courses running in June and July and all have places available. You can find out more and book at the Giving To Heritage website. Giving to Heritage is funded by the Heritage Lottery Fund Catalyst Programme. AIM is pleased to be on the steering group for the project. 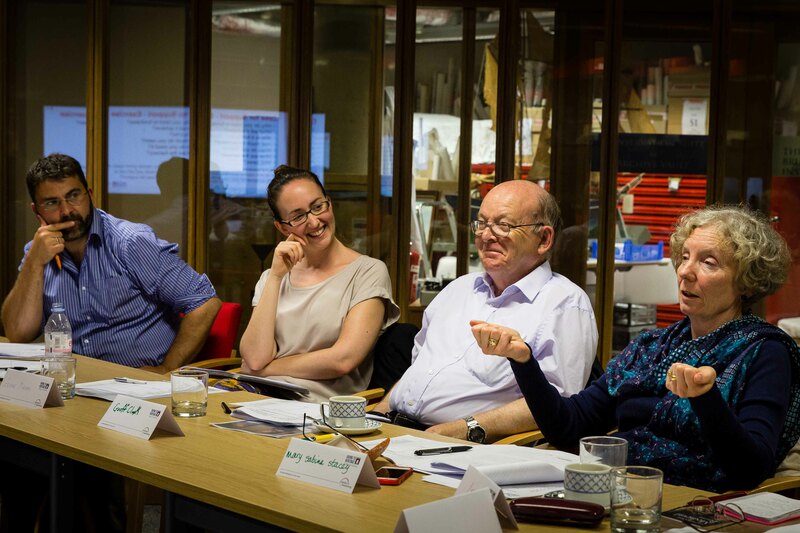 The new Giving to Heritage fundraising training programme has announced its first workshop dates, starting in London on 3rd June. Booking is open for the Planning for Heritage Fundraising course at venues around England through to 8 July. AIM is delighted to be on the Giving to Heritage steering group and to see such high quality training being made available to museums and heritage sites at affordable rates. The cost is only £20, with a maximum of 15 delegates. Giving to Heritage is funded by the Heritage Lottery Fund Catalyst programme. More information about the overall programme can be found on the Giving to Heritage Website, where bookings can also be made. Review the fundraising environment, identifying appropriate fundraising opportunities. Conduct a review of the performance of past fundraising activity. Establish objectives, timescale, budget and appropriate fundraising techniques. Discuss your fundraising plan with your line manager and other relevant colleagues/stakeholders and seek authorisation for its go ahead as necessary. 3 June London – booking available. 10 June Manchester – booking available. 17 June Leicester – register interest only. Booking available by the end of this week. 8 July Coventry – Register interest only. Booking available by the end if this week.